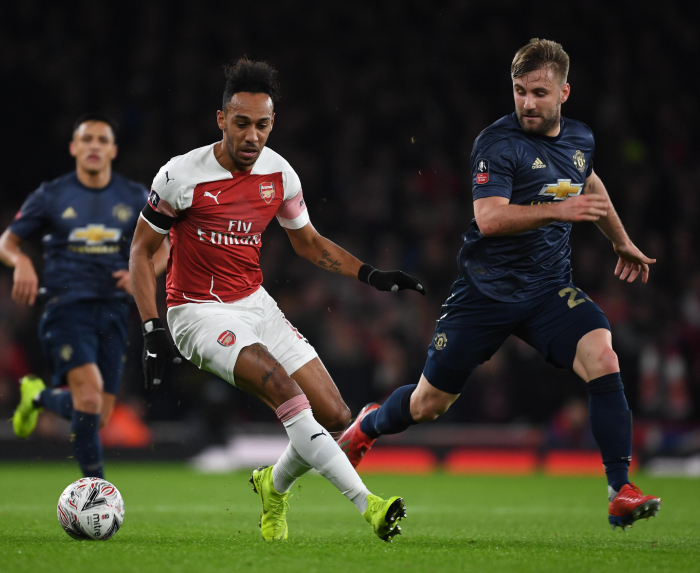 Arsenal fans didn’t have a great deal to cheer about during their FA Cup defeat at home to Manchester United, but there were a few fleeting moments for the home support to enjoy. Ole Gunnar Solskjær’s team hit the hosts with a one-two punch just after the half hour and eventually secured a 3-1 victory through Anthony Martial. However, for a few minutes either side of the half-time break, Arsenal were playing with the kind of flourish befitting a TV game under the lights. Pierre-Emerick Aubameyang scored the goal to bring his team back into the game, tapping in at the back post after good work from Aaron Ramsey in the left channel. It was what the Gabonese striker did after that, though, which really stood out. This didn’t require too much more ability than most other pieces of skill, and it wasn’t necessary to get the ball from point A to point B, but to reduce it to metrics like this is to miss the point. 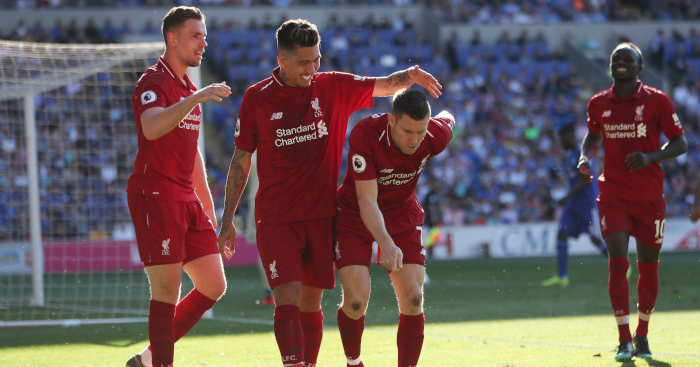 Sometimes ensuring your team is on top isn’t enough; you have to make sure everyone else in the stadium – from the opposition players to the fans – is hyper-aware of it too. The touch isn’t about setting Ainsley Maitland-Niles free down the right. Instead, the main objective is to send Luke Shaw into a full-on existential crisis. After being a match for Aubameyang for much of the first half, Shaw might have, at the very least, felt he’d broken his opponent’s spirit enough to at least stop him from actively mocking him. 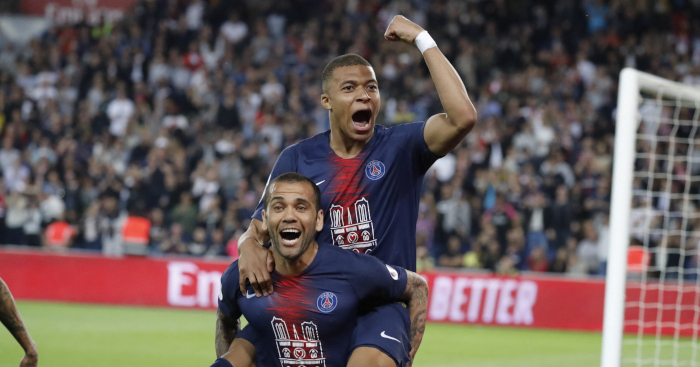 The game is undoubtedly as mental as it is physical: a footrace is one thing, but you can always gain that extra edge from dictating when the other player goes all-out and when they are hit with enough self-doubt to unwittingly give you an edge. It’s not about how Shaw responds to this touch but how he sets himself up for the next one, and the one after that. It’s enough swagger to tempt the Englishman into keeping his distance, and its impact is doubled by the fact that it’s unexpected. When it comes to producing moments like this, Aubameyang is in a position shared by few of his team-mates. 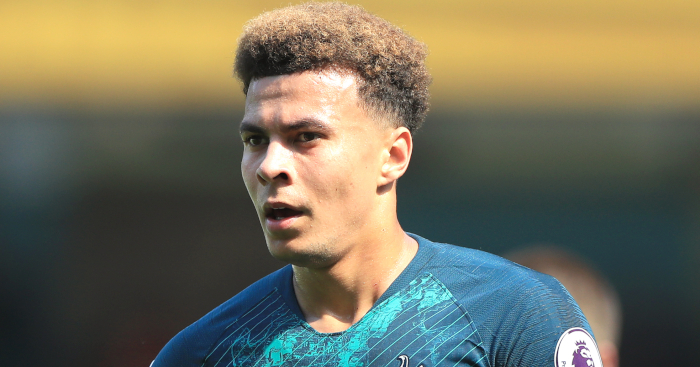 He is not among those who have been affected by the end of the Wenger era to the point that their thirst for showmanship is sapped, but he has none of the fresh start energy associated with new manager Unai Emery. 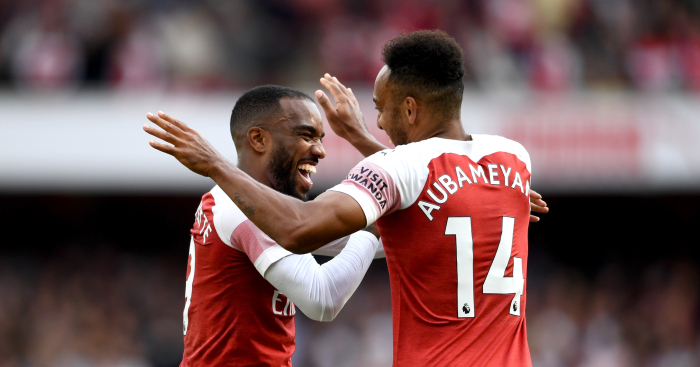 While the likes of Ramsey and Mesut Özil might be tempted to channel their past selves to produce the best performance they’re capable of, and while players like Lucas Torreira and Matteo Guendouzi have yet to be forced to rip things up and start again, Aubameyang (and to a lesser extent fellow late-era Wenger additions Alexandre Lacazette and Henrikh Mkhitaryan) is caught between two Arsenals. Yet, rather than this leaving him lost, it can give him the freedom of a man with many figures to impress but few to disappoint. The embarrassment of Shaw, and other similar end-in-themselves pieces of skill, are performed with his own satisfaction in mind more than that of anyone else. Not that this is a negative, though. If there’s no broader end goal which can be traced back to the move, it can’t be seen to have failed in the same way. To do this sort of thing in first-half stoppage time adds to this nature, like a snooker player attempting a shot-to-nothing when trailing in a final. The upper end of possible outcomes is so huge, and the lower end moot to the point that people won’t even remember the attempt with any particular ill-will, that it feels as though you’re losing out by not trying it. Aubameyang may be performing what isn’t much more than a glorified party trick, but sometimes that’s all you need when half of those in the room are considering leaving the party. In doing this, he has people’s attention and presents himself as the ringleader: the man whose actions can drag the Gunners back into the game with no lead up, and the man whose mere presence is enough to encourage people to stick around just in case. 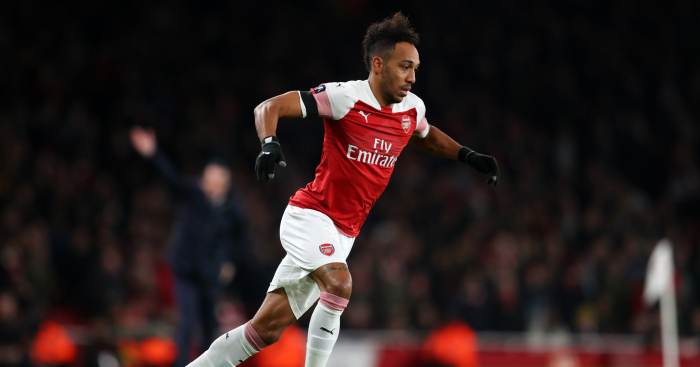 Aubameyang and Arsenal might not have found an equaliser, but they carried themselves back into a game that looked to be getting away from them and, at the very least, ensured it was a contest. For a long time, it didn’t look as though we’d even get that much. Importantly, too, he didn’t spark the resurgence by pulling himself up by his bootstraps, or with a clichéd blood-and-thunder inspirational speech. Instead, he imparted the sort of ‘showboat first, think second’ attitude which will give everyone something to cling on to even in defeat. Arsenal grew their reputation on being the team that played on the front foot; the side who others could only beat by digging in, abandoning flair for grit and hitting them on the counter. Even now, as they no longer remain on the top of the pile, there’s something to be said for their refusal to let that dynamic change.